There are two kinds of star gazing campers, those who like to sleep under the stars and those that like accommodation with stars (aka Glampers). Our brood falls in the later category. 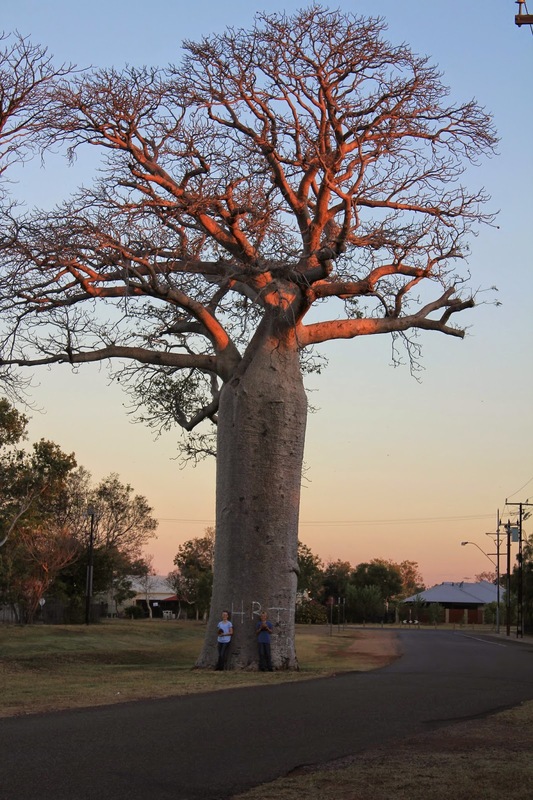 Whilst we appreciate the beauty of the outback, the red earth of the Kimberley that gets into everything and the clean crisp air you breath and water you drink, we have a huge appreciation for a flushing toilet, a fan and a hard floor under foot. Kununurra is located in the far north of WA, approximately 40km from the Northern Territory border. 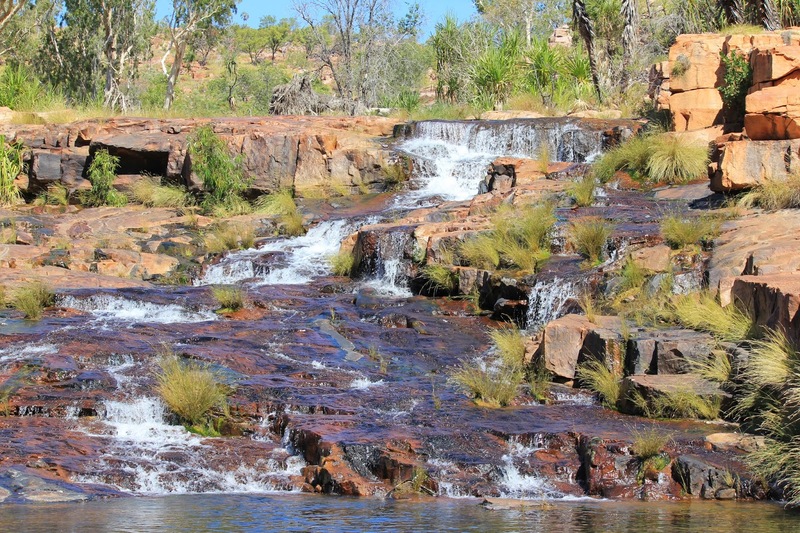 With a population of around 4'500, it caters to a large tourist trade as it is the gateway to the the Gibb River Road and Kimberley. 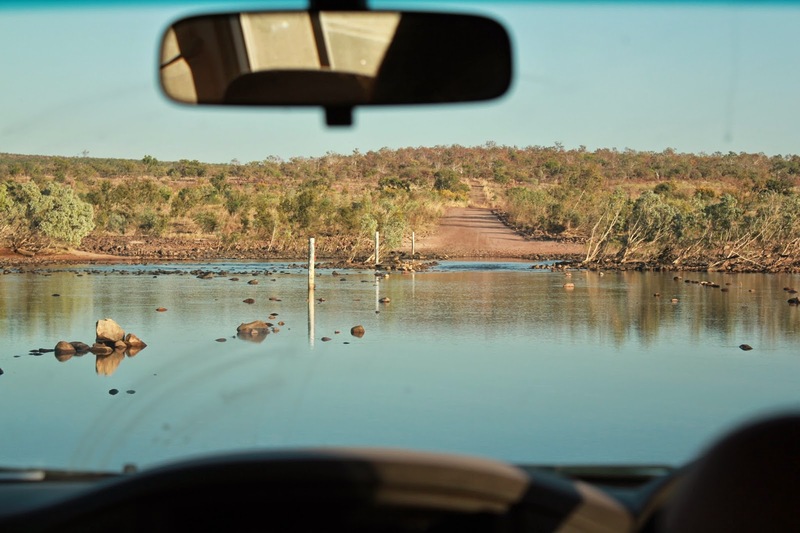 We flew from Perth to Kununurra and hired a 4WD for our week adventure to El Questro, along the Gibb River Road. 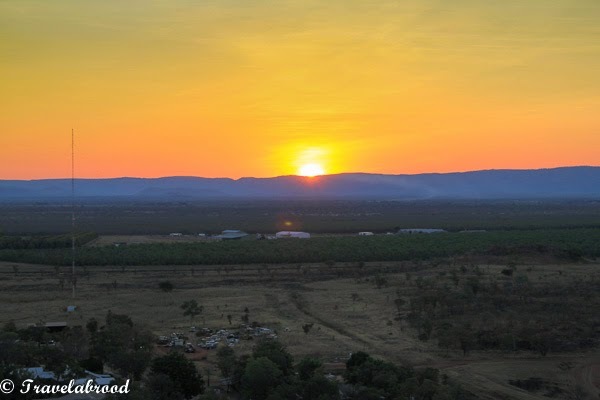 We were visiting during the peak tourist season and the July school holidays, so we had booked all of our accommodation and hire car well in advance along with some camp gear we had hired from Kununurra Kamper Hire. We arrived mid-afternoon, collected our car and did a tour of the town before heading out to Kelly's Knoll to watch the sunset. We stayed at the Kununurra Country Club and had dinner at the resort restaurant. Up early the next morning we drove the 100km or so out to Lake Argyle. The Durack Family Homstead has been repositioned out there, so a visit to the museum to read about the Irish family and their struggles was quite fascinating. 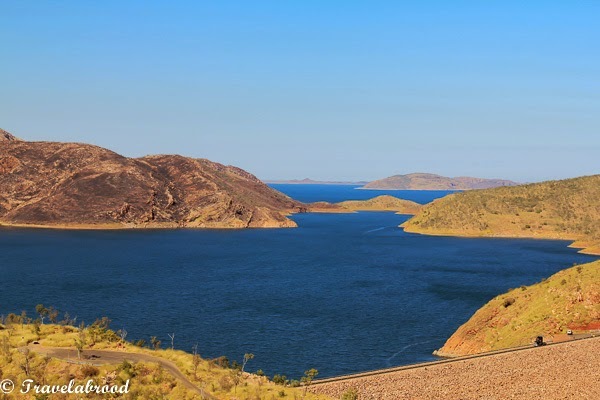 Lake Argyle is the largest water system for this region. It provides many properties with water for irrigation, making the Ord River Catchment very appealing to growers. 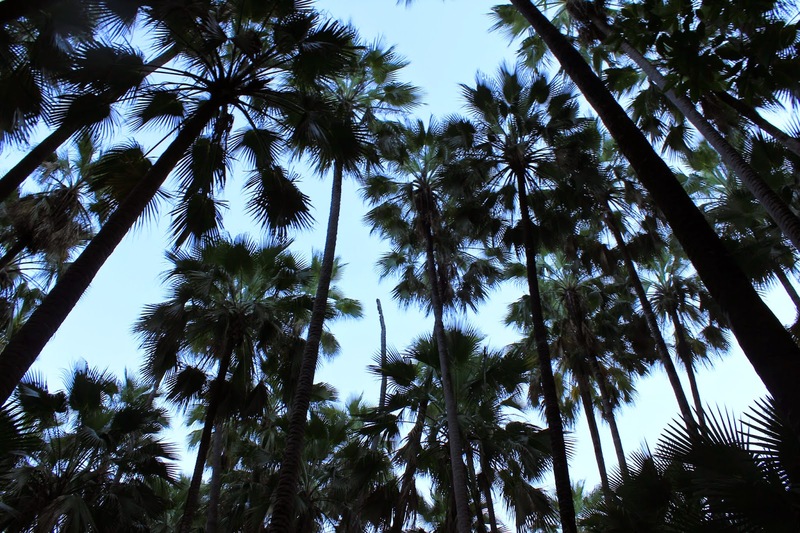 In researching our trip, I looked into what food provisions were available at El Questro. My findings - not much! Although there are a couple of general stores, they are very, very general. You may find a packet of dried pasta, however you may not find the sauce to put on it. Try and provision before you head out of town and take an esky with ice. Shopping in Kununurra is an experience in itself. If you are looking for matches/BBQ lighters they are kept behind the front counter and only an adult can request them. Don't leave your handbag unattended while you pack apples into plastic or leave your full trolley where others can help themselves. And lastly..... Kununurra is a dry town! This means there are restrictions placed on when and how much alcohol you can purchase. From memory, we were able to purchase two bottles of wine or one case of beer or one litre of spirit per person after 2.00pm. You can purchase alcohol with dinner at El Questro, but when we were there we were unable to take the unfinished bottle back to our campsite. Please check if these restrictions have changed. 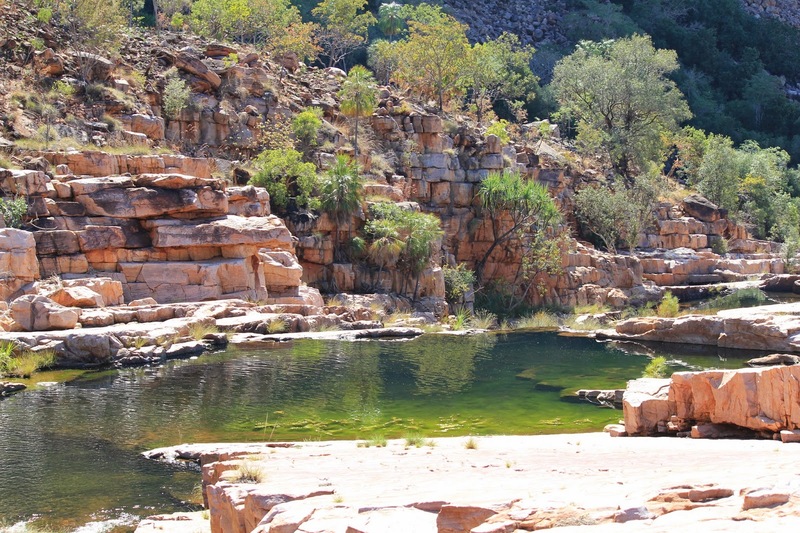 Emma Gorge Resort is about an hours drive from Kununurra along the Gibb River Road. We had organised glamour tents which sleep four (a double and two singles) and are equipped with a ensuite. Outside they have a couple of chairs and a table, however there is no mini-bar or kettle, so we were very pleased that we had hired a gas stove and cooking equipment in order to have our morning cuppa. There is a restaurant on site which offers breakfast, lunch and dinner. Now don't think that a glamour tent blocks out nature, heavy snoring or a baby in another tent that won't go back to sleep. We awoke to bird call every morning, early! The best thing about the early morning starts is the cooler temperature, for by lunchtime it is too hot to be doing very much at all. Zebedee Springs is a stunning way to start the day. Open to the public from 7.00am - 12.00pm, it is a series of thermal pools located amongst palm trees. It is an easy 750m - 1km walk from the main carpark and the water stays at around 28°C - 32°C. We were at the gate right on 7.00am and were the first in the pools, by the time we left at around 9.00am, I estimate that 60 - 70 people had arrived and the area was array with towels, clothes and shoes. In this part of the world, it really pays to get up and get going early. Emma Gorge is spectacular. 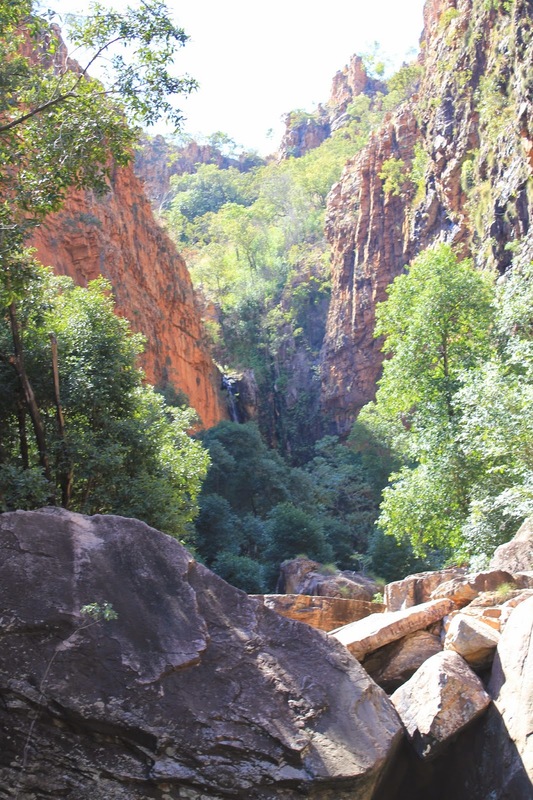 It's a rugged hours walk from Emma Gorge Resort and is surrounded by cliffs. The very refreshing (freezing) water is a welcome relief after the walk and as the sun moves quickly across the sky, creating deep shadows, it can get cool quickly. We packed a picnic and a beer and sunned ourselves like lizards on the rocks. The days seem to go on forever in this part of the world. Driving up to Saddleback Ridge is an adventure in itself and not for the faint hearted. The narrow track is bumpy and steep with little passing room for vehicles going in the opposite direction. A couple of hairpin turns, make you realise why it's classed as difficult. 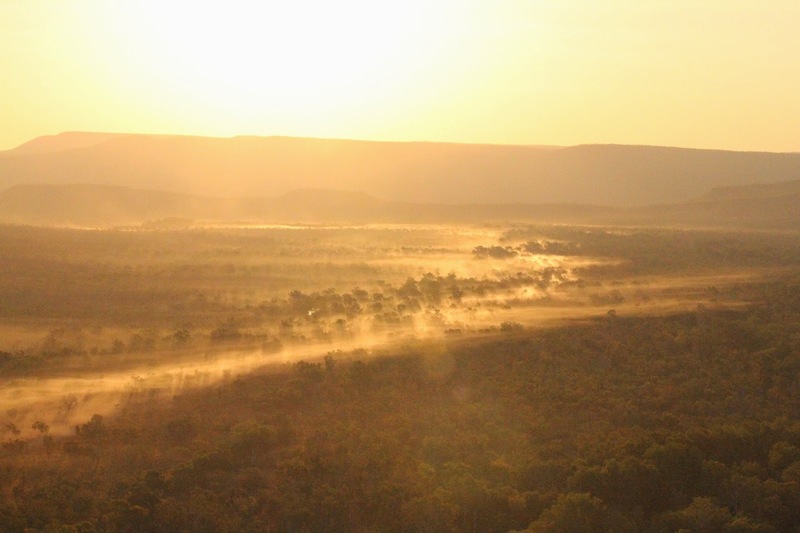 Once at the top however, the picturesque views across the Kimberley are breathtaking and watching the sun dissipate through the dust just ahhh! A word of advice - as the others catch their breath, start heading down so you don't get caught in the traffic jam. Champagne Springs is a 9.5km round trip. We managed to walk to the springs in 1.25 hours. Not bad considering we had to take our shoes off a couple of times and navigate the creek. Make sure you take plenty of water as some parts of the walk are out in the open. Watch out for snakes that lurk between the rocks and logs and don't give up when you think you'll never get there, it's just around the corner and it is magic. Helicopter rides over El Questro are available from the main campsite. The region is so desolate, rugged with canyons and gorges. Flying over the Pentecost River we were disappointed not to see any crocs which are apparently plentiful. We had dinner at the El Questro Steak House. It is advised to book as during peak season - you guessed it. 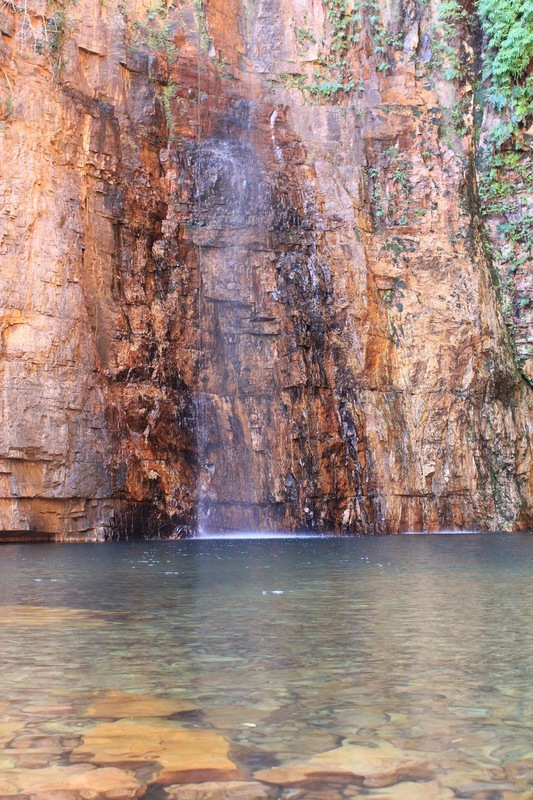 Emma Gorge is a good 30-40 minute drive from El Questro Station. We found it difficult driving at night as the reflection of the car lights on the red dust had us driving at less than 50km/hr. One one occasion it took us over an hour to get back to Emma Gorge. 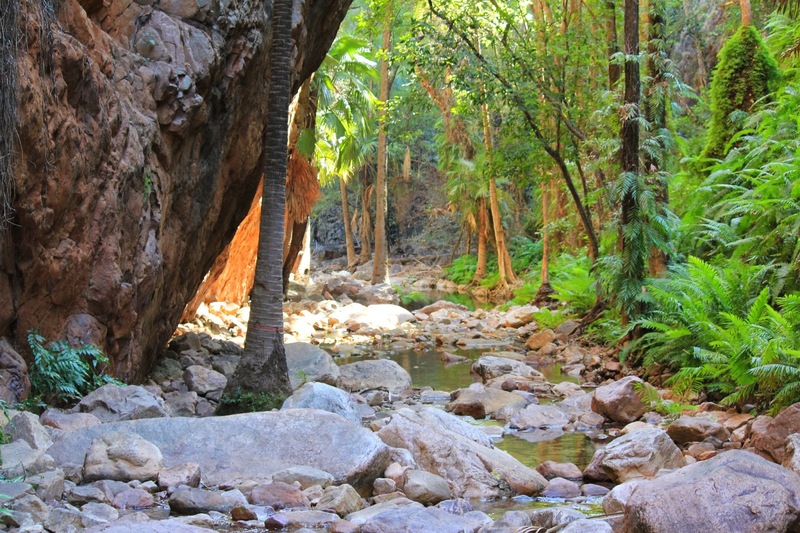 El Questro Gorge would have to have been my favourite. From the carpark you trek about 20 minutes to halfway pool. Here we left our picnic lunch and continued on (looking very attractive in our swimwear and sandshoes) for another 40 minute difficult climb over rocks and up cliffs to El Questro Gorge. Fortunately for us we arrived as others departed, so we had the place to ourselves. You couldn't ask for better. 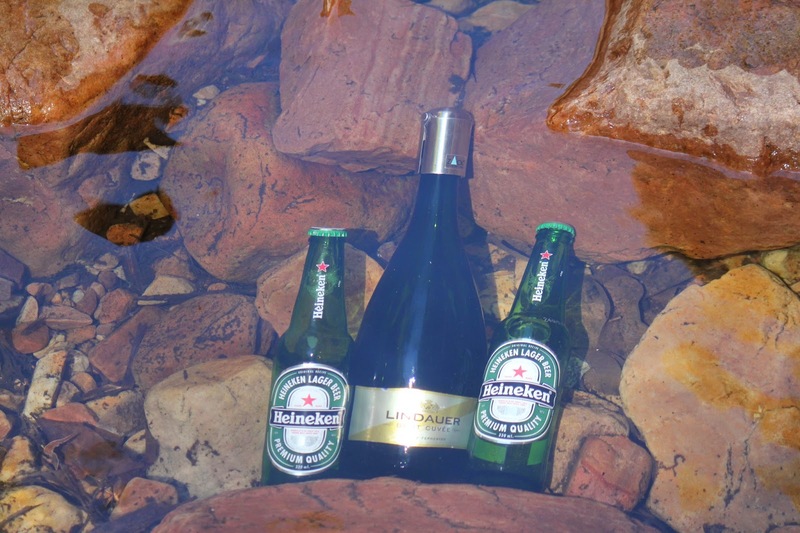 Returning to halfway pool, we sunbaked on the rocks as our champagne and beer cooled in the water and our sausages cooked on the stove. Yes, we carried in a gas cooktop, gas bottle, sausages, rolls and sauce. We were the envy of everyone passing and I don't think I've had a better snag since. Home Valley Station is further along the Gibb River Road, so reaching it requires crossing the Pentecost River. We had booked a morning horse riding, so saddled up and ventured out. Home Valley is not dissimilar to El Questro, it has a pool and good cafe for lunch. Returning back to Perth it took ages to get the red dirt out of our clothes, however it did get under our skin and we long to return.